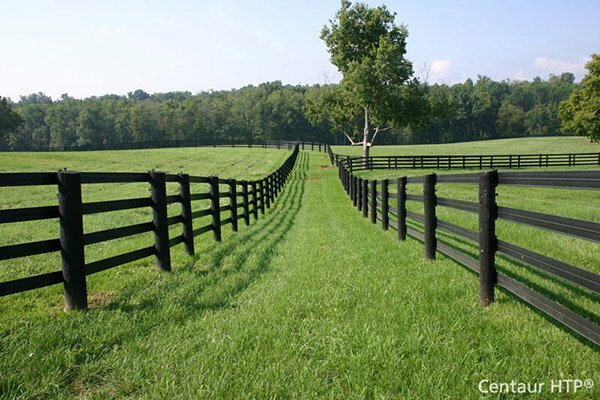 OZCO Building Products Timber Screws | Hoover Fence Co.
OWT Timber Screws have aggressive threads and a sharp point that penetrates wood without pre-drilling. 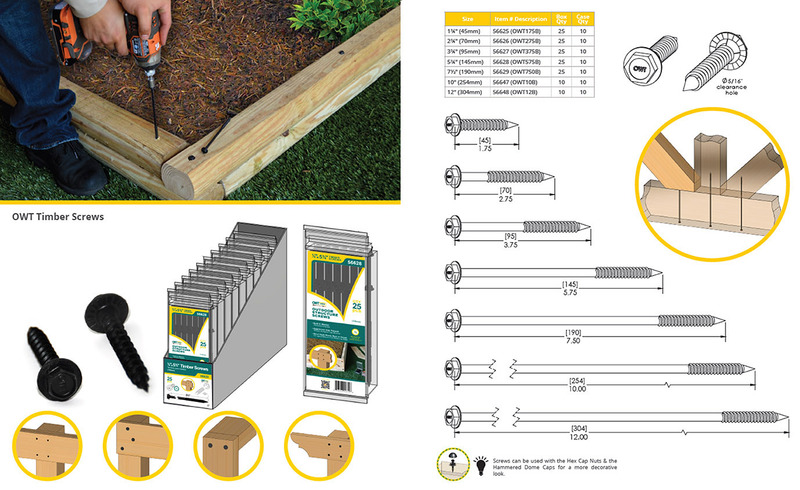 OWT Timber Screws are especially designed for use with OWT wood ties but they are also perfect for replacing galvanized spikes in raised flower beds, landscaping, or retaining walls. No need to pre-drill and sledge a spike. OWT Screws are protected with a specially designed coating that provides corrosion resistance for the life of the project. ACQ approved. Available in sizes from 1-3/4" to 12". Can be used with Hex Cap Nuts for a more dramatic appearance. Black corrosion resistant finish, guaranteed not to rust or streak. Can be used by itself or with hex cap nuts. Designed to be used with OWT Structural Wood Connectors.